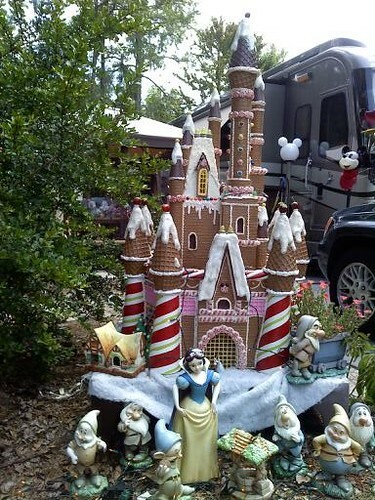 Laughs & Rants from My Inner Child: Gingerbread Castle at Fort Wilderness site! They even put Snow White and the Dwarves! Could you rotate it 90 degrees so I don't have to turn my head sideways? :-) Is it REALLY made of gingerbread??? I fixed the rotation; no, it's not real gingerbread. Just made to look like it.